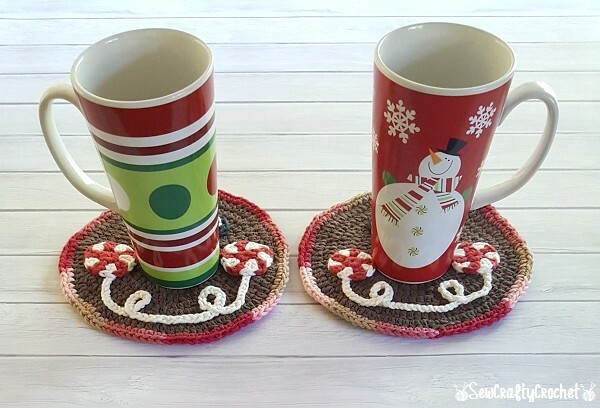 I love mug rugs, and I usually sew them, but I've been wanting to make a crochet mug rug for a while. 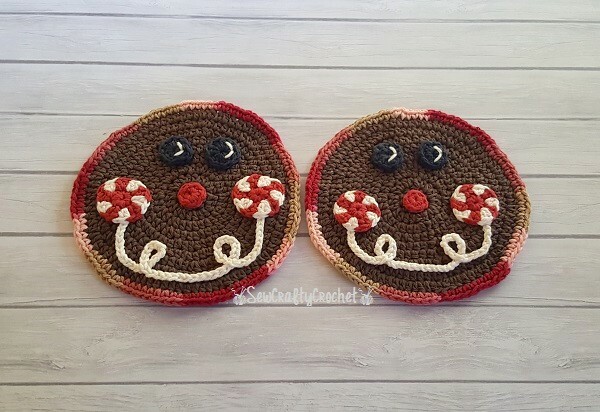 So I finally did, and since it's Christmas In July, I thought I should make a Christmas themed crochet mug rug! 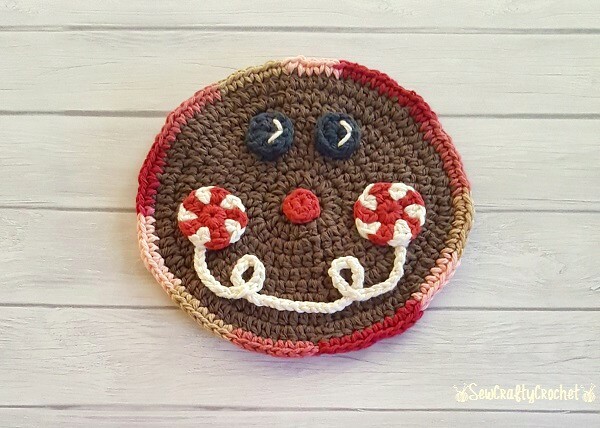 I love gingerbread men, but this is my first gingerbread themed craft! 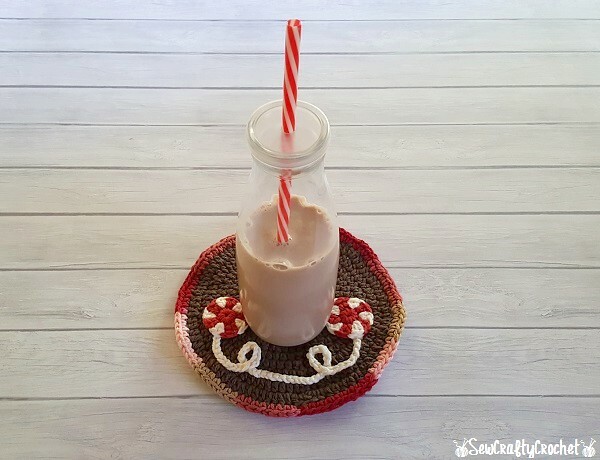 To make this mug rug, I used Lily Sugar'n Cream yarn in Warm Brown, Ecru, Country Red, Black, and Damask Ombre. 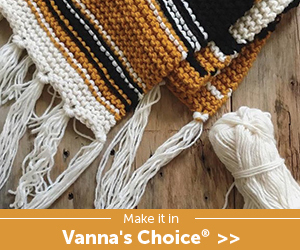 Round 10: (in variegated yarn) sc in each st around, join. fastenoff. 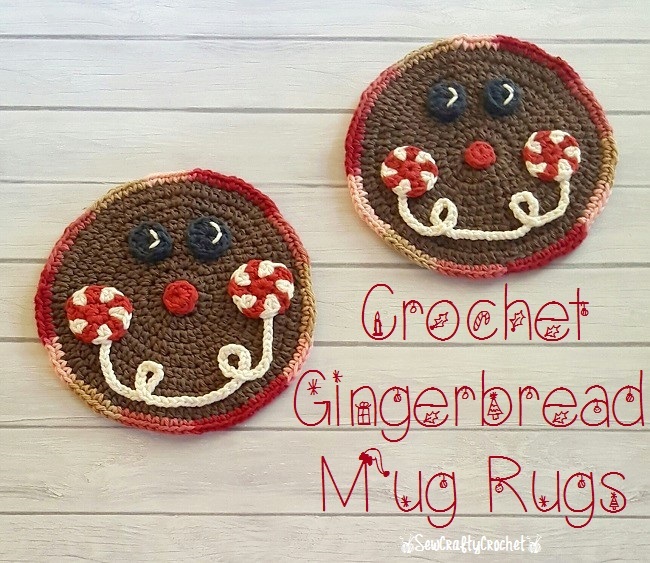 I only made 2 gingerbread mug rugs, for now. 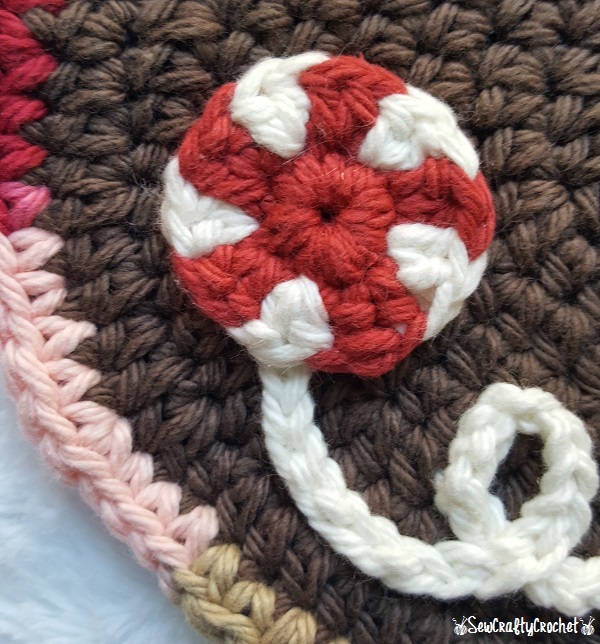 I may make more later as Christmas gifts. 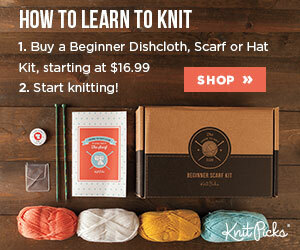 They could also serves as dish clothes or hot pads. I like to use large mugs as soup bowls. 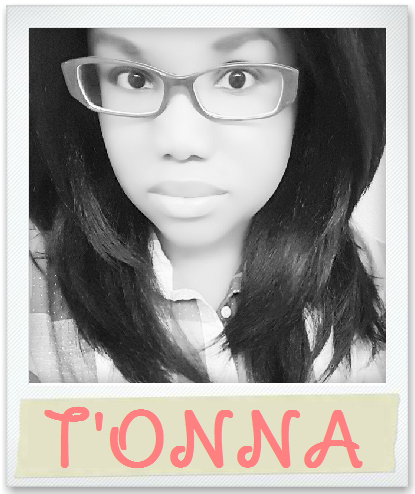 These are seriously so c ute. What goes better with your favorite beverage? 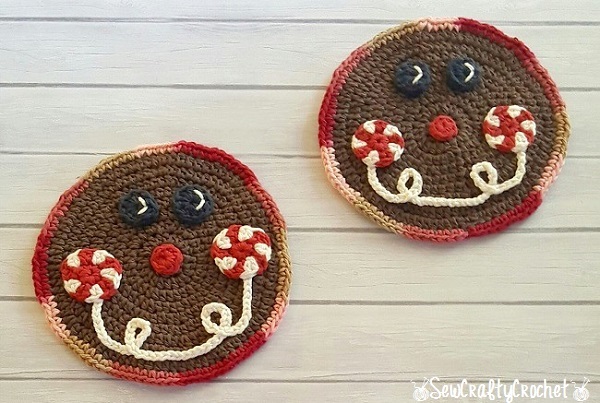 Of course a gingerbread rug! 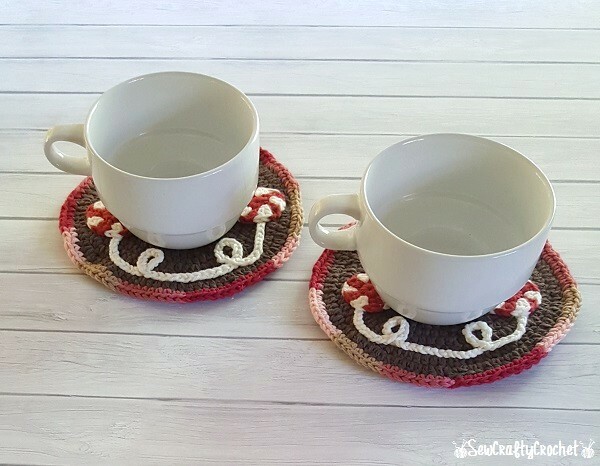 These mug rugs are almost too cute to use!!! 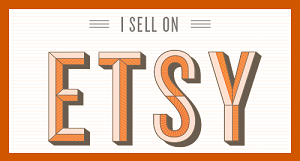 Thanks for participating in our Party in Your PJs link party!